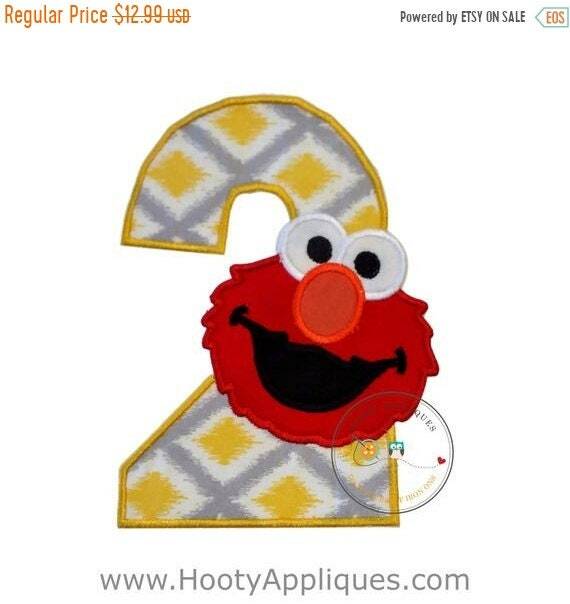 Second birthday number applique done in bright yellow and soft gray fabric. This block number two is embellished with a traditional red monster face. 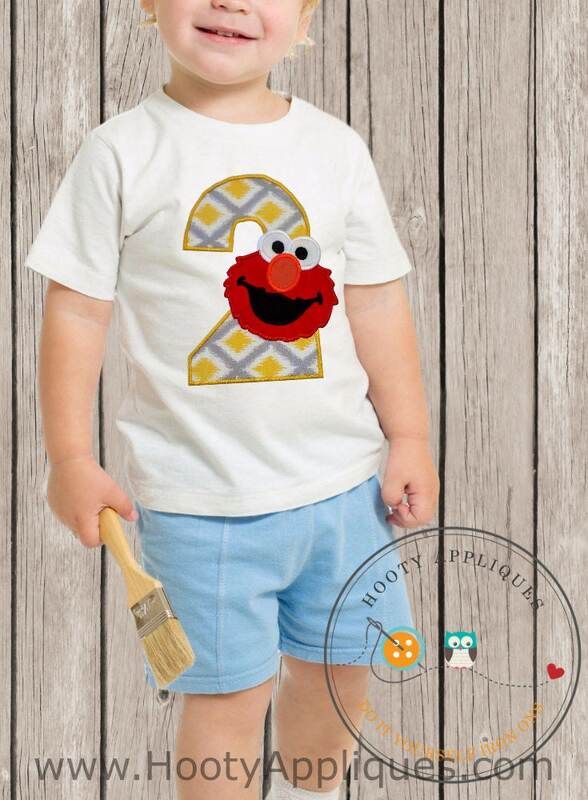 Cute patch for both boys and girls 2nd birthday outfit. •	Measures 6.75 inches tall and 5.00inches wide.